Is it better to be loved or understood? For wine, the reality is clearly the former as its popularity increases in a world where more quality wine is arguably more available and affordable than at any other time in history. But is wine understood? Clearly not, given the legion wanting to show they are in the know but exhibiting less knowledge than they think. 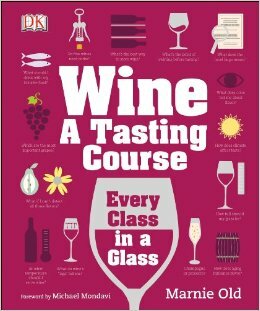 Philadelphia based sommelier Marnie Old has written Wine: A Tasting Course published by DK that we at SukasaStyle would argue is the best book available for the avid beginner wanting to learn about the world of wine at their own pace. Any newcomer has options available: a plethora of books, winery tastings, institute courses, ‘knowledgeable’ friends and acquaintances, publications and the internet. Marnie Old’s Wine: A Tasting Course cleverly combines a number of these features. Available as a hardcover or in e-book format, it has the content to be taken seriously – even by oenophiles needing a quick brush up — and it is designed with tasting in mind with a foundation that starts with “Building Wine Skills” leading to “Navigating Wine By Style” then “Mastering Wine Variables” and ending with “Discovering Wine Grapes and Regions” at the apex. The friendly and accessible style means that the reader need not be overwhelmed with obfuscating prose and terminology; after all, only professional sommeliers need to bother themselves with a 500 page tome like Ronald Jackson’s Wine Tasting handbook. For those genuinely interested in knowing more then Old’s book is the perfect imbibe: replete with tidbits delivered in an info-graphic format that is visually appealing yet content rich. 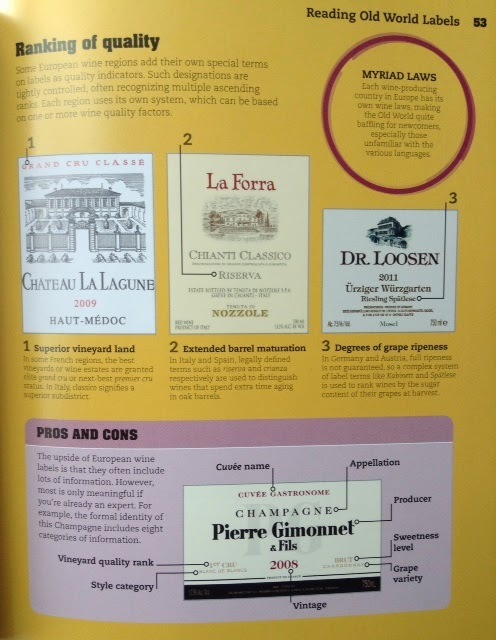 Example 2: How do you read “Old World” labels where a premium is placed on information over design? 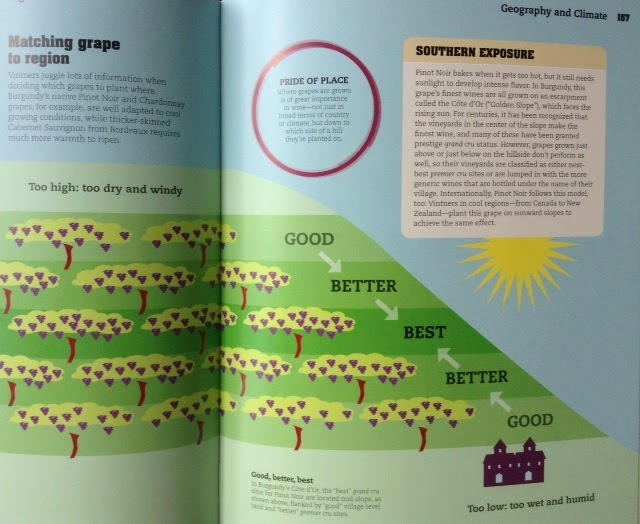 Example 3: What effect does geography and climate have on those old vines? 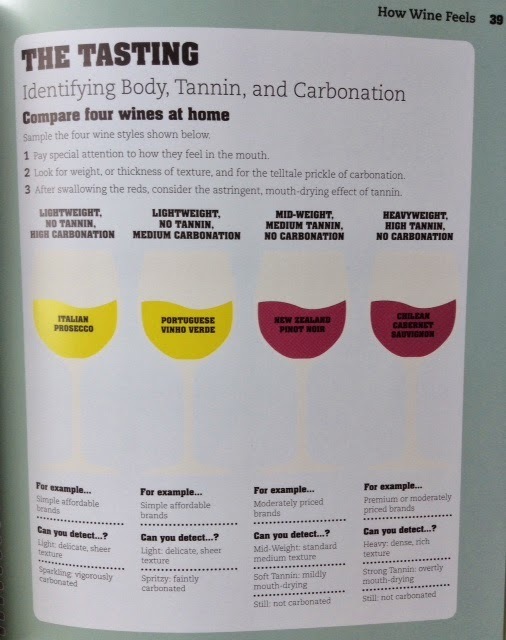 Extrapolate this content and visual style to 250 pages and you are left with a rich trove of knowledge that will leave you well versed in wine lore and able to navigate the wine list at the restaurant or the premium vintage aisle of your local liquor store with confidence and ease. Moreover, you will be able to hold your own in a conversation with your favourite sommelier and not necessarily buy into the latest recommendations from your local wine critic once you understand your own palate and preferences. We have always stressed the personal and social when it comes to wine at SukasaStyle. This book takes away the fuss and opacity of the wine world but it isn't fluff. It is a book that you can learn from at your own pace when learning or return to time and again. Suggested retail price in Canada is $26 but you may find it for less at your bookstore. 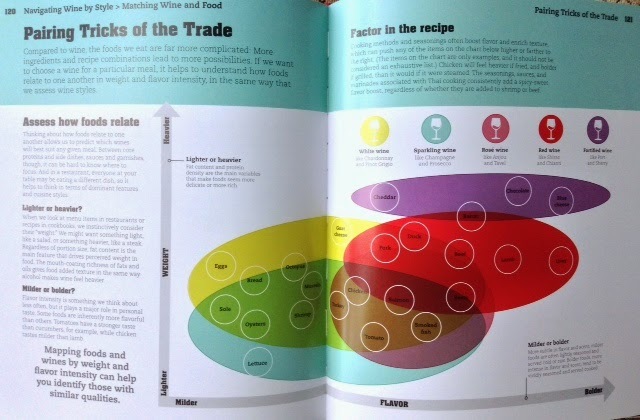 Wine: A Tasting Course by Marine Old, is published by DK Publishing.